Since 2004, New York Painting Services has been servicing commercial businesses and residential homes of New York with our many quality services. Our professionals have endured advanced training, and have accumulated years of experience to provide our valued customers with superior services. 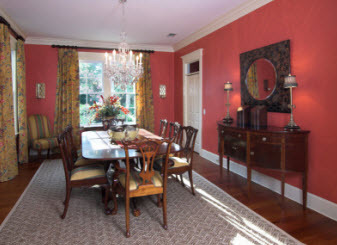 We have all necessary credentials, and our reputable company is always thought of first when commercial business owners or residential homeowners desire a fresh coat of interior paint. –	Cleaning: All areas receiving a New York Painting Services Interior Painting Service, gets a thorough and meticulous cleaning. Pollutants, dirt and harmful occident are removed and paint increases its ability to adhere to the surface. –	Protection: Our experienced painters will ensure the rest of the areas not being treated with paint is well cared for. Sliding all furnishings and possessions to the center, and covering them with durable, top quality products to ensure they are not blemished with speckles of paint. –	Paint Preparation: Once the area is protected, walls are removed of light switch plates, outlet covers and vents to allow for a detailed interior painting service to your home. Holes, gaps and cracks are repaired and stubborn stains are treated and primed. –	Scrape and Prime: Cosmetic maintenance needs are dealt with, for example, lifting or peeling older paint is scrapes away. Sanding away the imperfections on walls is done as well. 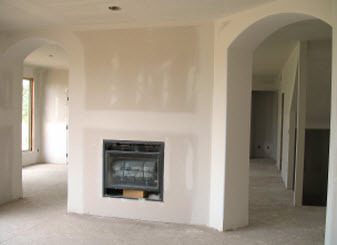 Once ready, New York Painting Services professionals apply primer to your New York or New Jersey home. –	Caulking: If necessary, caulking in the required areas is applied. –	Painting Application: After the walls are ready, the 1st coat of paint is applied and after it has thoroughly dried, the second coat is added. –	Painting Inspection & Walk Through: After the job is complete, New York Painting Services inspects the interior painting service, and if flawed, the technicians possess the vast experience and knowledge to effectively remove the flaws, and make it ready for final client inspection. –	Once satisfied, we clean up. New York Painting Services‘s commercial interior painting service is executed in a like manner as our residential service. Knowing a business desires to appeal to customers, we ensure our job is completed quickly and efficiently to avoid interfering with your daily routines. 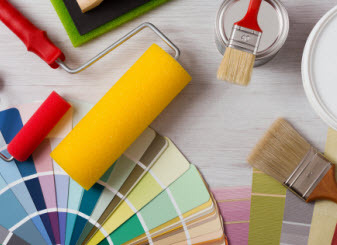 At New York Painting Services, our interior painting service for both commercial and residential needs is 100% guaranteed to give our appreciated customers peace of mind that their project will be done accordingly and done well. To get started call us today!